We've said it before, and I'll say it again: there is no money better spent on any car than the previous owner's money. It is the equivalent of drafting when racing -- why burn your own fuel and generate your own speed when you can let the other guy do the dirty work for you. 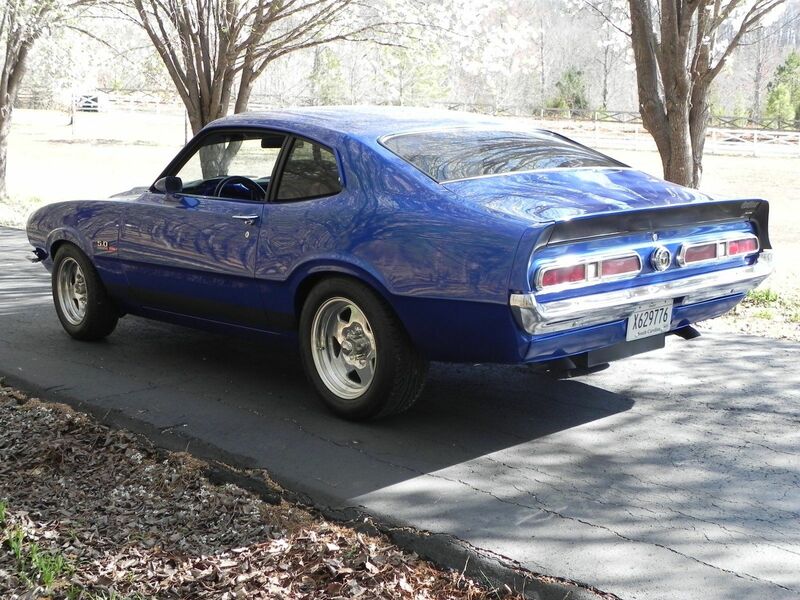 Find this 1971 Ford Maverick here on eBay bidding for $8,602 with a few hours to go, located in Blacksburg, SC. The little Maverick was the replacement for the outgoing compact Ford Falcon (which spent a half a year on the mid-sized Torino chassis for some unknown reason), but it never got much factory power due to the fuel and emissions crisis of the 70s. 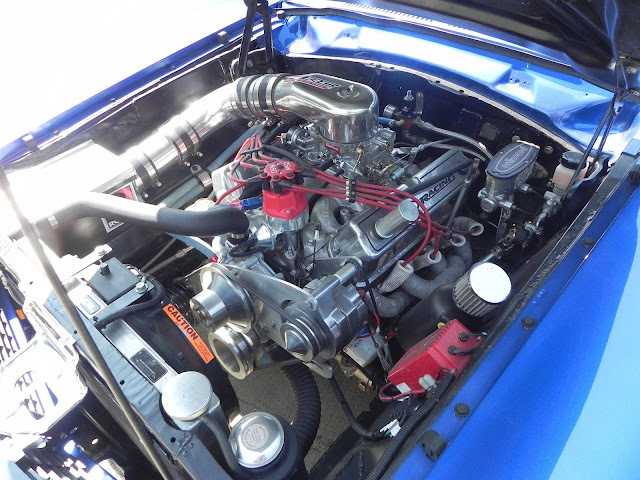 Thankfully custom car builders around the country have recognized the light and nimble chassis as a good starting point for something with a nice 400 horsepower small block Ford V8. This one has all kinds of built internal parts, and a Vintage Air A/C system, which must be nice on hot days. 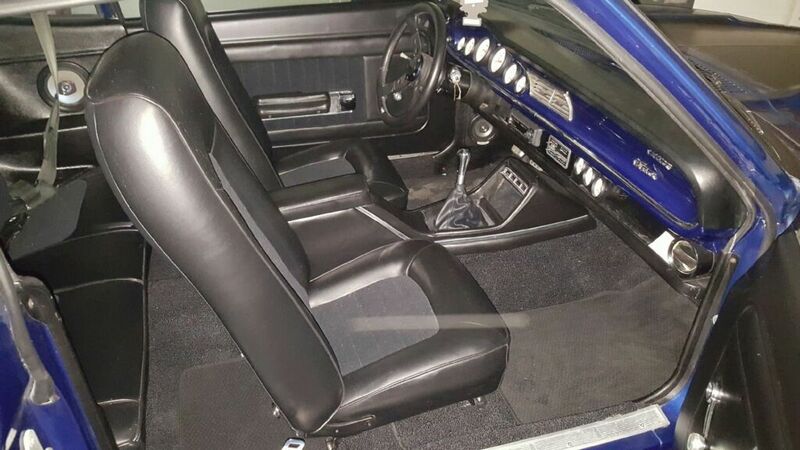 The seller says the interior is in great shape, and that the pictures don't do it justice. That shift knob you see sticking up is a connected to a Borg Warner T5 manual gearbox that should make driving fun! 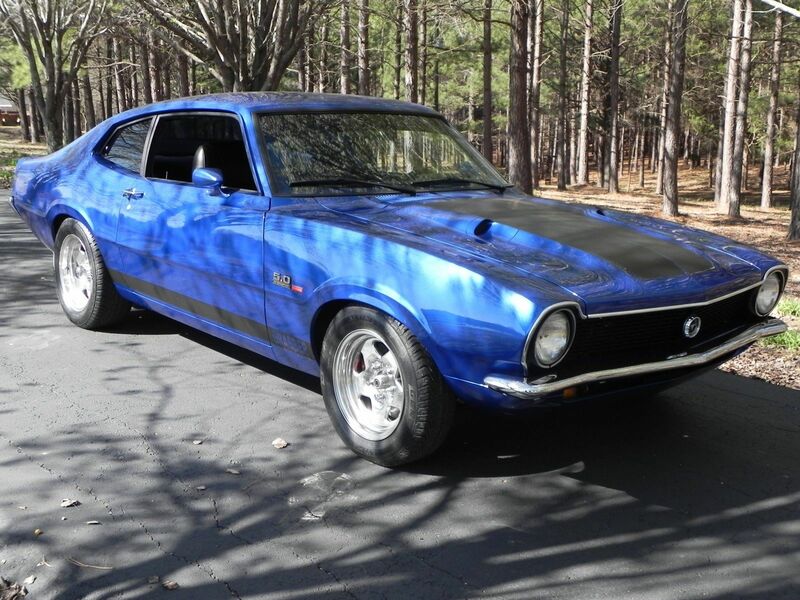 Very nice build, but it is now up to $14K with three hours still to go. How much farther will it get pushed? That's a cool trick with the tail lights. By adding a second set of brake lights inboard, swapped side to side, they created a slim version of Shelby Mustang lights. I think those are actually Mercury Comet taillights.